Heavy metal icon Black Sabbath continues its Reunion Tour in Latin America, Europe and the UK with a large complement of Clay Paky Sharpy fixtures, Sharpy Wash lights and a grandMA2 light console. 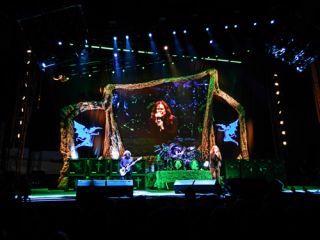 The tour celebrates the band’s reunion last year and supports their album “13,” the first with Ozzy Osbourne since 1978. Forty Sharpy Wash lights were deployed in Australia as fill for a video shoot, he said.